The PING4 peripheral connect to up to four Parallax Ping))) ultrasonic distance sensors. The PING4 peripheral uses the GPIO4 card. The quad Parallax Ping))) peripherals uses the four bidirectional I/O pins on a GPIO4 card to control up to four Parallax Ping))) sensors. 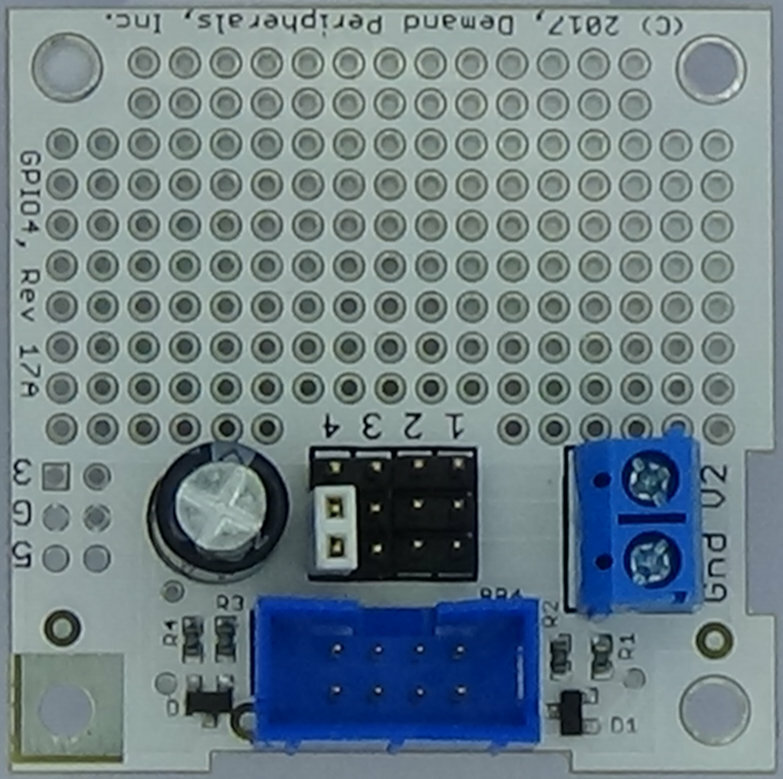 Typically you would use the pin header version of the GPIO4 card and would connect +5 Volts and ground to the auxiliary power connector. distance :sensor ID and Distance. enable : enable or disable individual sensors. The enable resource takes a single hexadecimal character terminated by a newline. The LSB of the enable register corresponds to the lowest numbered sensor, sensor ID 0. A set bit enables the sensor and a cleared bit disables it. At start-up all sensors are disabled. NOTE: ONLY ENABLE ACTIVE SENSORS. THE OUTPUT CAN STOP IF A SENSOR IS NOT PRESENT OR STOPS RESPONDING. Enable the first two sensors and start monitoring the reported distances.